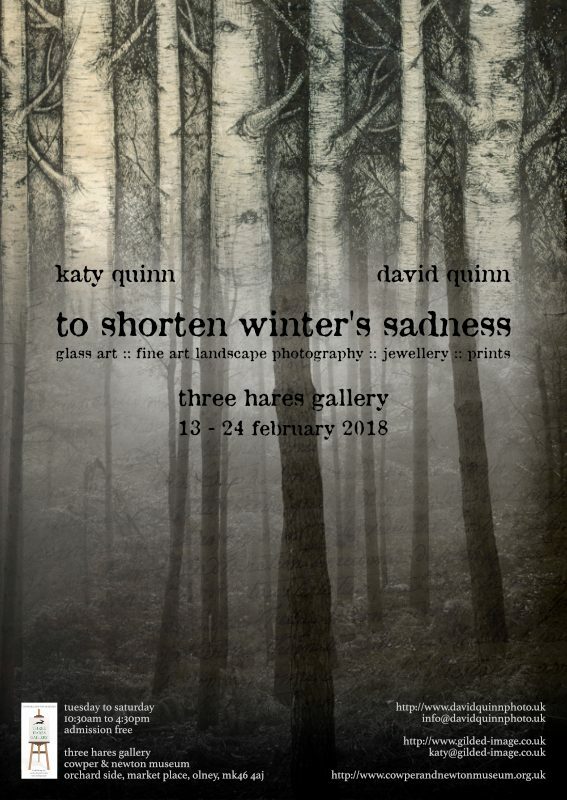 My current exhibition “To Shorten Winter’s Sadness” at Three Hares Gallery in Olney has now been extended to the 29th March 2018. I am sharing the exhibition space with Katy. We are adding some new work over the next week or two. The Gallery is part of the Cowper & Newton Museum on the Market Square in Olney (North Buckinghamshire). It is open from 10:30 – 4:30, Tuesday to Saturday until 29 March. Admission is free for the Gallery.